A fun feature where I talk about what's going on in my life; an update of sorts. A lot of fun and interesting stuff has been going on lately, so I thought I'd post about it :) I'm finally back to blogging and reading which is really great. I can put the excuses behind me. This week was a pretty crazy one that left me totally exhausted but none the less it was fun. 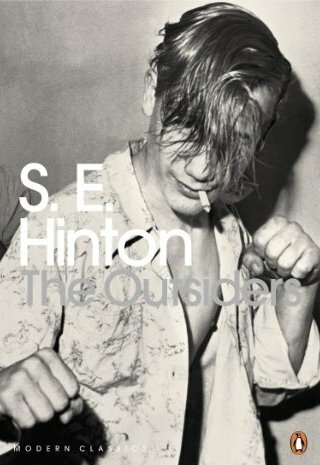 For class we had to read and study The Outsiders by S.E Hinton. Our assessment task is to write a extra chapter for the book. It's more of a modern classic than a classic but still probably one of the oldest books I've read (published in 1967). Still I really enjoyed it and connected with the protagonist, Ponyboy. I think what makes this novel so popular is that it’s written by a teenager, about a 14 year old boy dealing with themes that many adolescents can identify with despite what year they’re living with. From the get go I was hooked and that really surprised me as I’ve never read a classic, finally I can check that off the list although I know it’s not that old in comparison to the likes of Pride and Prejudice. I also started a book that I was given at an event which I’ll talk about below, called The Secret Life of Ella and Micha by Jessica Sorensen. Out of boredom I picked it up and was a hundred pages in before realising it was a New Adult novel. I didn’t mind it but I think I’ll leave it for another time as I’m not sure NA is my thing. YA for the win. 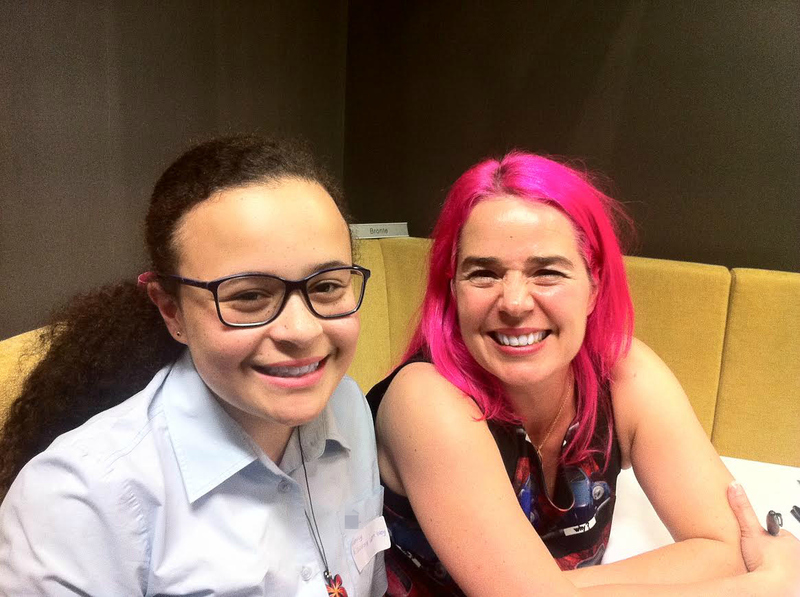 On Monday September 1st, I attended the Hachette Publishing YA Bloggers Night. It was one of the funnest blogger events I’ve attended, it was really well hosted. Thank you Hachette for such a great night and of course Ashleigh for the invite. There were photo booths (props supplied), a lolly table, finger foods and even a book hunt. It was super cool going to the actual publishing house and getting a taste of what it looks like and of course it was lovely to talk to the Hachette team. The special guest of the night was Daughter of Smoke and Bone author, Laini Taylor. She spoke about her book and the inspiration behind it and answered some questions. She was so down to earth and inspiring. Laini’s advice was really useful because as someone who aspires to be a writer yet never completes her work, her advice to me was to be one of those people who always finishes things. Also that if writing is something I intend to do in life, don’t have a back up plan. I am yet to read the DOSAB series but I am going to. I managed to snap a photo in the photo booth with her which she signed as well as some sat down shots. This week was full of rehearsing as Wednesday marked the opening of our three day school production, An Ideal Husband by Oscar Wilde. My sister and I both performing as Flapper Girls from the roaring twenties. The school plays as crazy as they are, are always fun! Clearly I’ve been watching Teen Wolf and I'm both excited and bummed that the season finale is this Monday/Tuesday. It feels as though this season only just began and each episode has been exciting, I don’t know how the storyline is going to conclude in this finale episode. But you can guarantee I’ll be tweeting about it. What I’ve been listening too? 4 songs I’ve been listening to on replay are; Shake it Off by Taylor Swift, G is For Girl by Ciara, Live Louder by Nathaniel and Cardiac Arrest by Bad Suns. I hope you all enjoyed this WUB which was a little bit different. Have a great weekend! Yay, great to hear from you Sunny! That Hachette YA Bloggers night looked so awesome and like so much fun, I'm so glad you enjoyed yourself and met up with a lot of others :) I met Laini Taylor as well on Saturday and she was awesome!